Stem the tide of tourist protocol rather than follow a generic postcard holiday, embark on something entirely different. 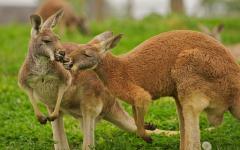 This 11-day tour will show you Australia in a way most tourists never get a chance to see it. Take a scenic flight over the 12 Apostles, see kangaroos in the wild, try your hand at “fossicking” for gems, explore prehistoric lava tunnels, hike the UNESCO World Heritage-listed Blue Mountains and explore unique Great Barrier Reef sites in a true adventure that’ll stimulate the senses. Day 8: Fly to Sydney and explore the vibrant harbor, museums, galleries, restaurants and bars of the east coast metropolis. 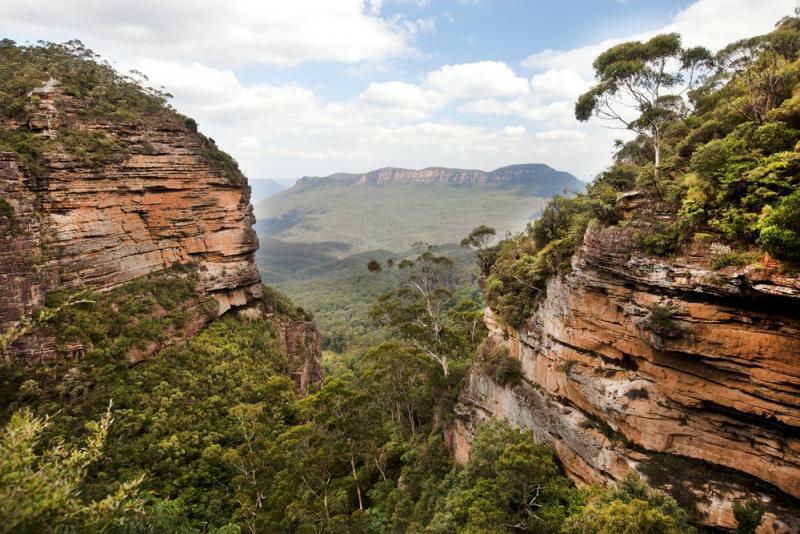 Day 10: Venture to the stunning Blue Mountains, see kangaroos in the wild, picnic by a waterfall and see UNESCO World Heritage-listed rainforest. Australia is not a generic place; you are not a generic person, so why would you want a generic, cookie-cutter holiday? It’ll only lead to generic photos (only this time you’ll be the one taking a bite out of the Big Banana). Break away from the crowd by taking an 11-day trip around Australia that replaces tired tourist traps with meaningful, authentic, and unique experiences. Begin your holiday in the chic city of Melbourne, which is known for its dining and café scene, forward architectural design and boutique shopping. Learn more about its people as a local Melbournian takes you on an insider’s tour of the city, then explore Melbourne’s many districts on an informative bicycle tour. 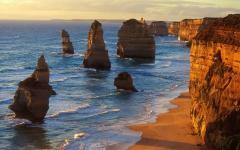 The following day, follow the Great Ocean Road from surfing town, Torquay, to the cliffs overlooking Shipwreck Coast, where you’ll get to take a thrilling helicopter ride around the 12 Apostles rock formation. 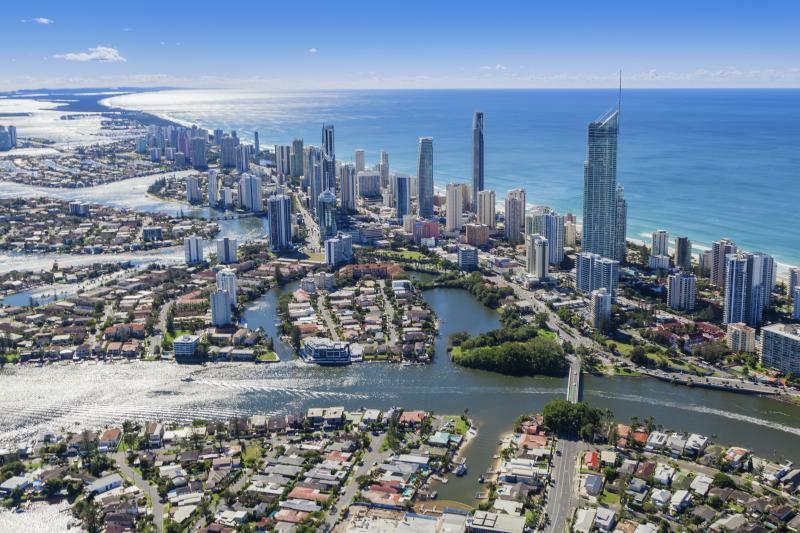 Next, set your sights on warmer climes as you travel north to the tropical city of Cairns and stroll around its streets and boardwalk, and then head out into the Australian outback. Try your luck at fossicking for gems or gold, admire local wildlife as it hops and climbs trees around you and explore the prehistoric Undara Lava Tubes. 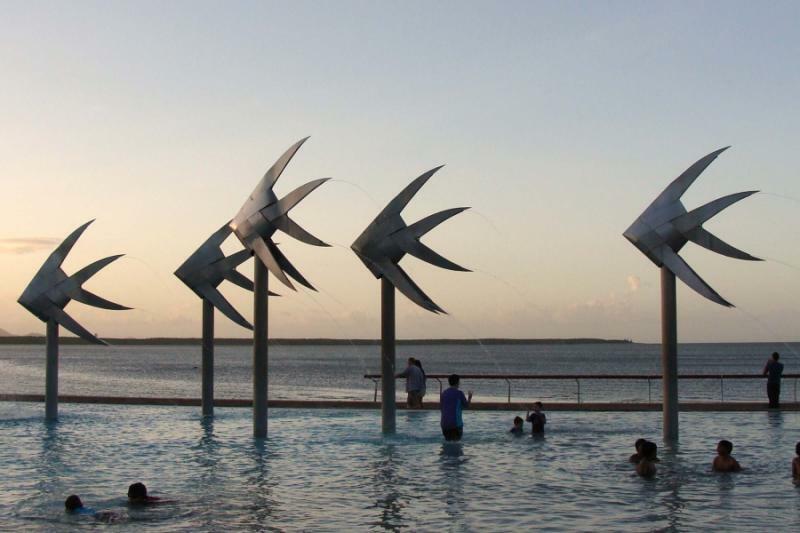 Return to Cairns and head off on a special harbor cruise to snorkel or dive unique spots on the UNESCO World Heritage-listed Great Barrier Reef. Finally finish your adventure in Sydney where you’ll get to cruise the harbor, hold a snake, see kangaroos in the wild and hike through the UNESCO World Heritage-listed Blue Mountains. 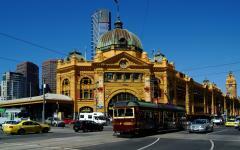 As the capital of Victoria and Australia’s second-largest city, Melbourne is a lively multicultural urban center. 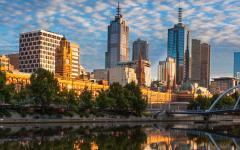 Within Australia, Melbourne is celebrated for its diverse and gourmet dining scene, boutique shopping, coffee culture and sophisticated taste in architecture. Discover its charms as you settle into your hotel, hit the streets and get better acquainted. 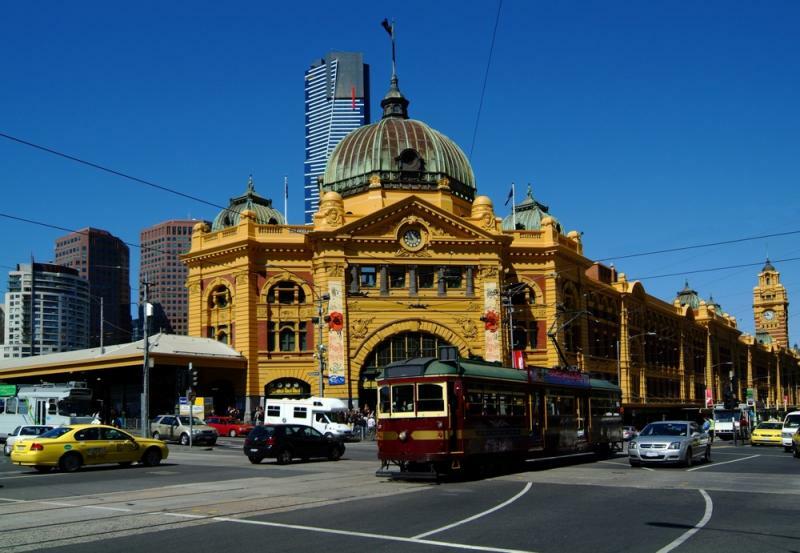 Wander over to Flinders Street Station – a magnificent French renaissance-style building which has the distinction of being the first train station in an Australian city — then walk to Federation Square, a brilliant civic center and cultural precinct. Weigh in on the controversy surrounding its intriguing “shard” architectural design, watch a live show or see some of the 20,000 Australian artworks at the Ian Potter Centre. Finally, stroll along the Yarra River, stopping at local cafes along the way. Now that you’ve done some exploring on your own, it’s time to throw an Aussie into the mix. On day two of your adventure, you’ll get to see all of the nooks and crannies of the city center on a walking tour led by a knowledgeable Melbournian. Discover hidden lanes with incredible cafes, see cutting-edge environmentally sustainable architecture and learn about historic gems as your tour guide walks you through the city, revealing what makes it special. Find out how Melbournians live, what makes their city unique and get familiar with the local culture and history in an experience few tourists ever get. In the afternoon join a Melbourne bicycle tour. Ride past the famous Melbourne Cricket Ground (and learn a bit about the national sport), find out which districts are known for their mansions, beaches, restaurants or art, and go to some of the best vantage points in the city. 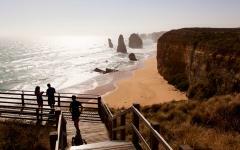 Just beyond the hustle and bustle of Melbourne, lies the beachside town of Torquay. Aside from being a dreamy place with gorgeous ocean vistas, it’s also home to some of the world’s best surf beaches, including Bells Beach, and the start of the Great Ocean Road. 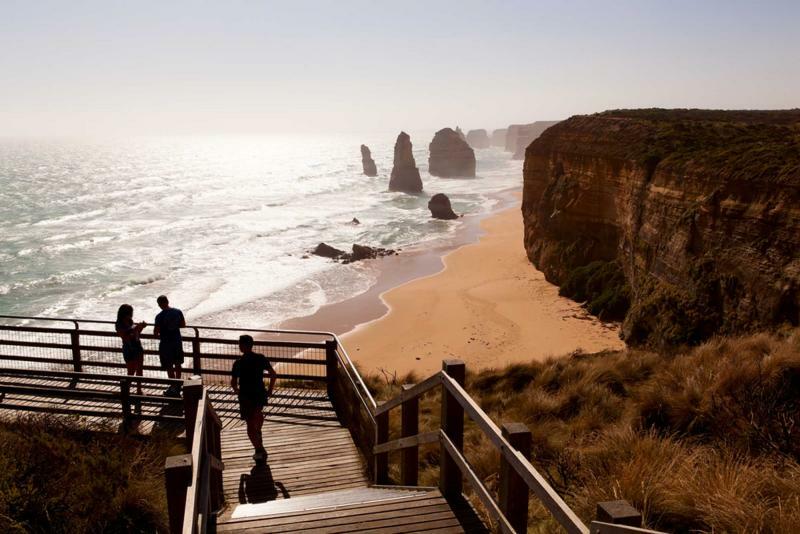 Winding its way for 243 kilometers (151 miles) along the southeastern coast of Australia, the Great Ocean Road captures some of the country’s most breathtaking sights, sweetest towns and natural wonders. 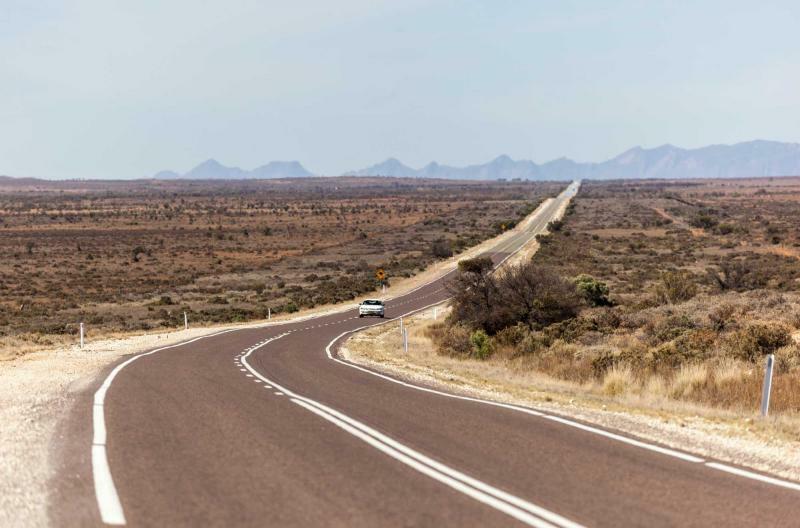 Travel the famous asphalt ribbon, while gazing out at open oceans framed by craggy cliffs, stopping in charming towns for a taste of fresh fish and chips and keeping an eye out for koalas in the wild. 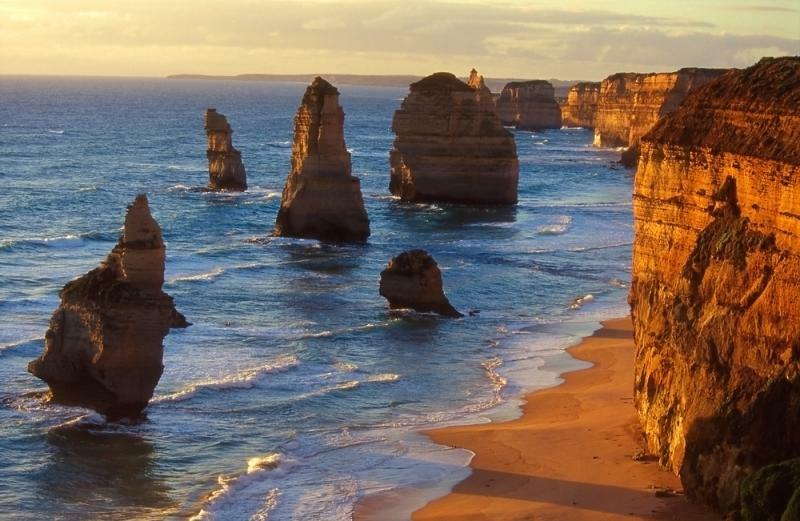 When you reach the Twelve Apostles — a collection of towering limestone rock formations that jut out of the ocean near Port Campbell — board a helicopter for an exhilarating flight. Admire the beauty and make the most of unparalleled photo opportunities, as you get intimate with the majestic landmark. Listen to stories of the Shipwreck Coast, which has caught more than 600 ships in its deadly grasp, and learn of the brave and tragic characters of the region. 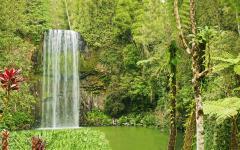 Wave goodbye to the southern climes and deciduous trees of the south as you board a flight bound for the tropical north. 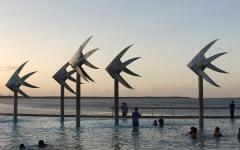 Your destination will be Cairns; an electric north Queensland city that enjoys a prime position between the azure waters of the Coral Sea and the lush greenery of UNESCO World Heritage-listed rainforests. Settle into your hotel and spend your afternoon enjoying the sun and relaxed waterside atmosphere of the area. 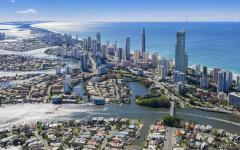 Stroll the streets, popping into art stores, clothing boutiques and cafes, walk the Esplanade — a picturesque coastal boardwalk — or lounge at a bar or restaurant by the water’s edge with a cocktail in hand. 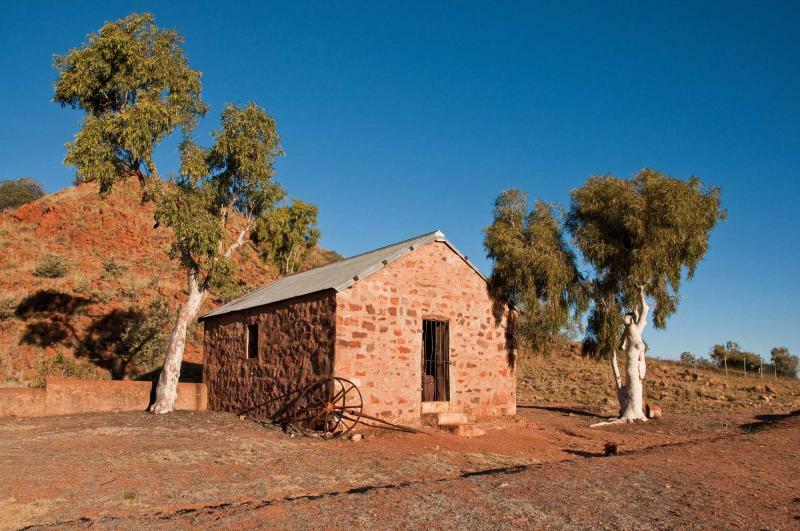 Don your akubra (iconic Australian hat) and prepare to explore the Queensland outback as you travel out to the Savannah Country. Plains, grasses and the occasional tropical rainforest inhabit this dry, relatively flat area, which is also home to cattle ranges, semi-precious stone deposits and a fascinating underground volcanic cave system. Embark on a scenic drive, with stops in beautiful spots and quaint towns, where you can sample local cuisine and try your hand at fossicking — searching for gold or semi-precious gems. 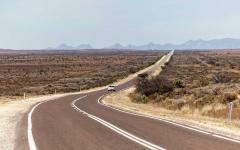 Your final destination will be the Undara Volcanic National Park, home of the famous Lava Tubes. Spend the evening breathing in the beauty of the surrounding bush, dining on Australian cuisine or undertaking a Wildlife at Sunset walk to see and learn about the native animals of the area. Then settle into a restored turn-of-the-century railway carriage for a luxurious overnight stay. Some 190,000 years ago the Undara volcano erupted, throwing roughly 23 billion cubic meters of hot lava around the surrounding area. As a result, the flow of this lava formed colossal tube and cave systems, which remain the longest of their kind in the world. 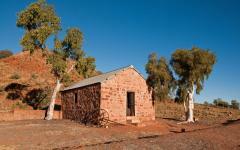 Begin your day with a bush breakfast, before setting off to explore the prehistoric Undara Lava Tubes on a guided walk. Learn how the immense caverns were formed, the role they played throughout history and admire their scale and beauty. 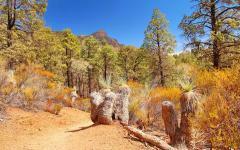 Your guide will also show you other culturally- and historically-significant areas of the national park. After your tour, enjoy a refreshing lunch and look out for wild kangaroos, wallabies and bats, then set off back to Cairns. 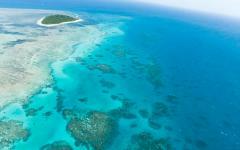 Just a little off the shore of Cairns, lies the incredible UNESCO World Heritage-listed Great Barrier Reef. Spanning some 133,000 square miles, it is not only one of the seven natural wonders of the world, but also the largest living thing on earth. Explore its underwater coral gardens and schools of tropical fish, as you set off on a full-day reef adventure. 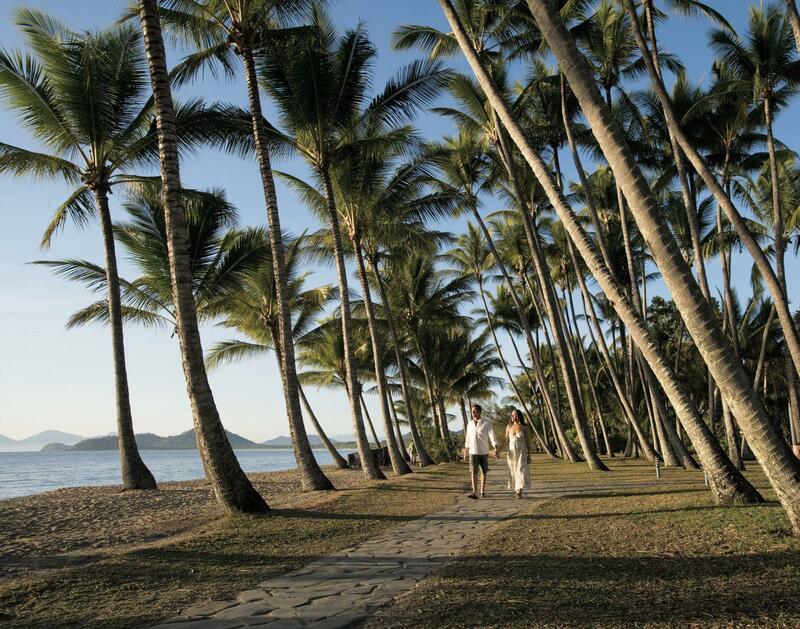 Travel north to Palm Cove, from where you’ll board a catamaran and set sail for the outer-lying Agincourt Reef. 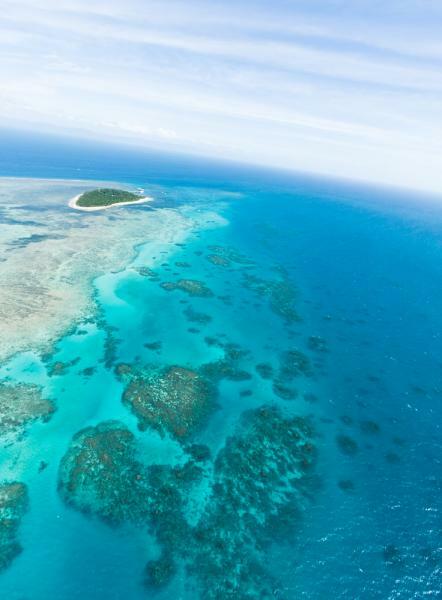 Known as one of the most beautiful areas of the Great Barrier Reef, rich in tropical fish life, vibrant soft and hard coral and even the occasional dwarf minke whale, it is a paradise waiting to be discovered. 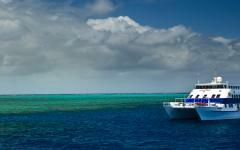 Snorkel or dive the crystal clear waters and see the beauty and breathtaking vibrancy of the coral. Alternatively, if you prefer to stay dry, you can discover the reef from the safety of a semi-sub. Dip just one meter below the water and see the splendor of the reef in complete comfort. On day eight of your trip, say your farewells to the tropics and head south to Australia’s largest city, Sydney. 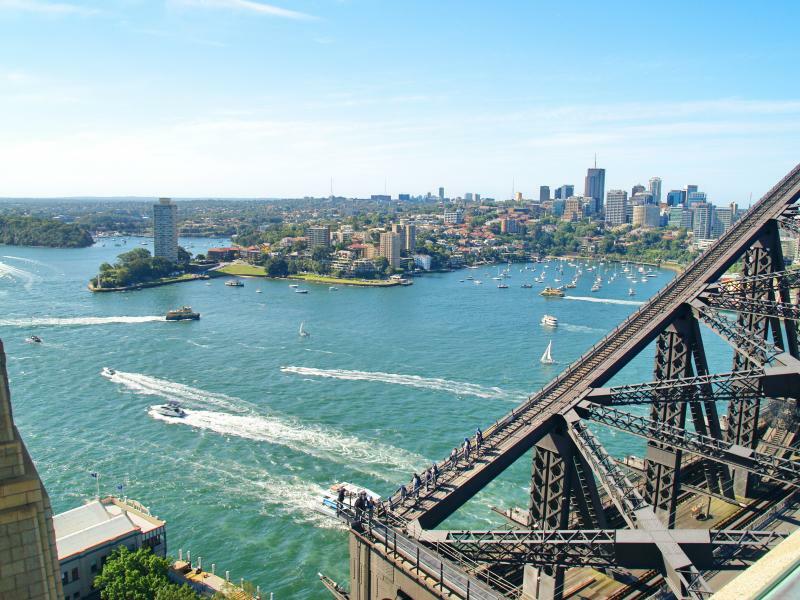 Positioned on a picturesque natural harbor and boasting the iconic Sydney Opera House, Harbour Bridge and Sydney Tower, it is a sight to behold. What’s more, its mix of indigenous and colonial history, beautiful city beaches and an enviable dining and bar scene make it a must-see. Breathe in its electric atmosphere as you settle into your hotel in the city center and begin your exploration of its streets. 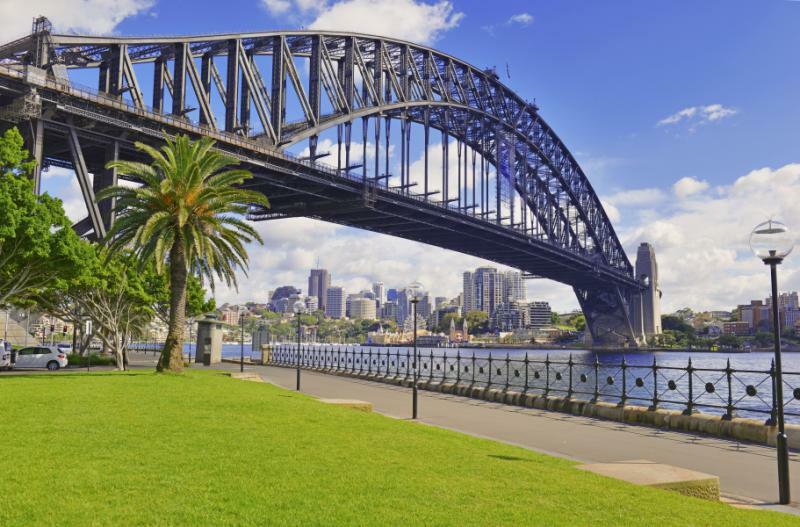 Walk along the harbor, admiring the sites and local musicians, see the flora and fauna at the Royal Botanic Gardens, explore Sydney’s many galleries and museums or walk to Darling Harbour, where waterside restaurants, bars, clubs and stores offer plenty of fanciful distractions. Since Sydney has one dazzling, sparkling harbor, why not make the most of it? 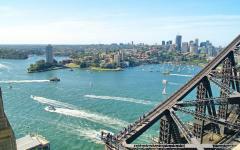 Begin your morning with a spectacular Sydney Harbour cruise, which will show the city off to its best advantage. Cruise past the white sails of the Sydney Opera House and the famous arches of the Harbour Bridge, as you gaze over the cityscape. The cruise will also take you past the historic Rocks district, the smiling gateway of Luna Park (a 1930s-style amusement park), the waterfront mansions of the more prestigious suburbs and the gorgeous headlands that frame the area. 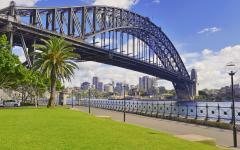 Along the way, learn about the Sydney way of life, its diverse culture and its history. In the afternoon, meet the cute, fuzzy, creepy and downright terrifying inhabitants of Australia as you take a special tour of Sydney’s Wildlife World. Walk through a colorful butterfly sanctuary, get hands-on with unique local reptiles and see the five most venomous snakes in the world. You’ll also get to cuddle up with a koala, see the Nocturnal House, where cute possums and quolls get active in the dark, and visit an exclusive quarantine area to learn about the likes of wallabies, echidnas and more Aussie creatures. Ancient sandstone mountains imbued in a sapphire-colored haze seem to be a thing of fairy tales. 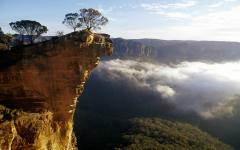 Yet drive just 80 kilometers west of Sydney and you’ll find that the Blue Mountains are not a figment of your imagination. See the legendary mountains in all their beauty, as you board a luxury mini coach and set off in a westerly direction. 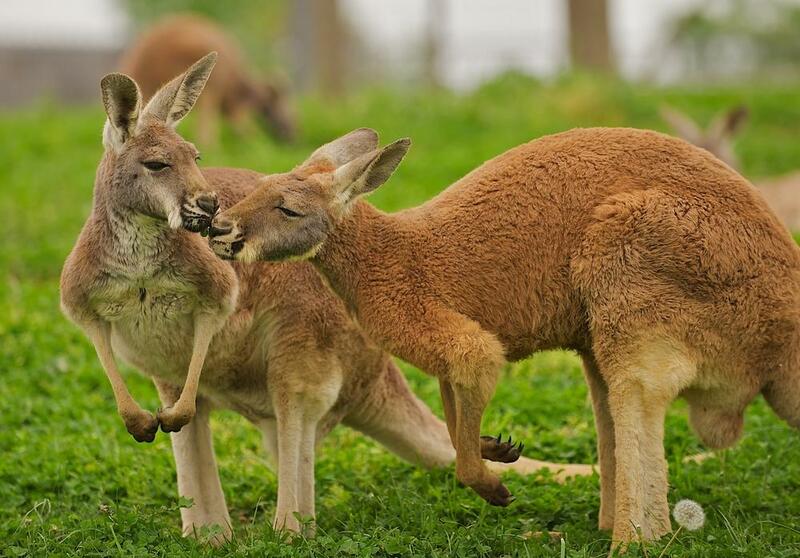 Make a stop in the leafy suburb of Glenbrook and go for a quick walk around the Blue Mountains National Park to see cute eastern grey kangaroos in the wild. 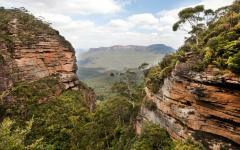 Then set off further into the mountains until you reach the stunning Echo Point Lookout, near Katoomba. 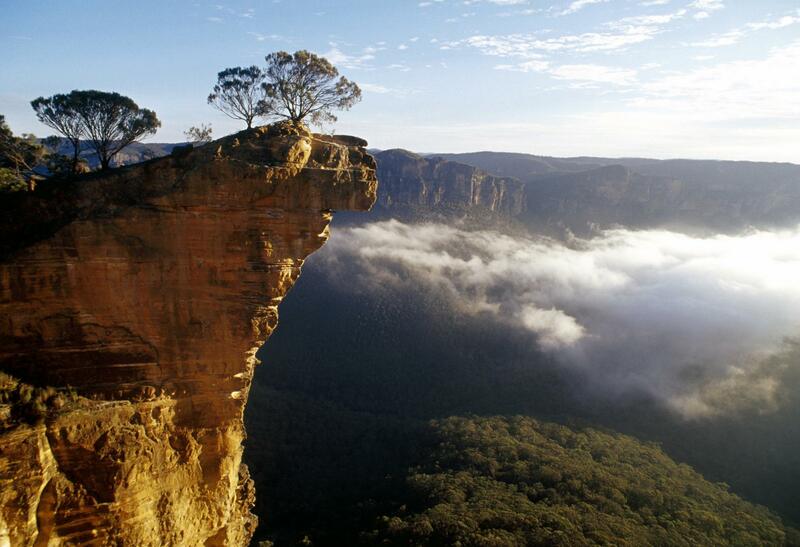 Here you can enjoy breathtaking views over Jamison Valley and the famous Three Sisters sandstone rock formation. At this point you’ll be given a backpack, a map and walk information as well as three hours to explore the area at your leisure. Head down one of the walking tracks and watch the dry eucalyptus trees give way to lush ferns, palms and mosses as you descend deeper into a canyon. Stop for a picnic lunch at the majestic Katoomba Falls, gaze over sapphire-hued valleys from designated lookout points and breathe in the tranquility and beauty of the UNESCO World Heritage-listed area. Take a final stroll around Sydney Harbour and stop for a coffee, before saying your goodbyes, heading for the airport and boarding your flight home. 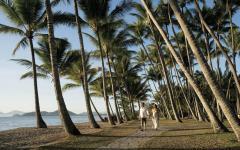 "Our travel agent worked well with us to craft a trip that worked for us!" "Overall the trip was organized perfectly. The agents were easily reached and helpful." "Very helpful planning with an accurate itenarary and a once in a lifetime vacation!" "This agency planned the perfect Australian tour for us."